After a long summer of hot days, the clouds spread out their reach and allowed the cold air to descend. The weather man predicted frost, which is a last call of sorts for any gardener. The name of the game this time of year is pick it or forget about it. Picking peppers and celery isn’t that hard, unless the temperature is barely above freezing like it was when we began our harvest. We filled our bags till the weather chased us indoors, which is were the real work began. 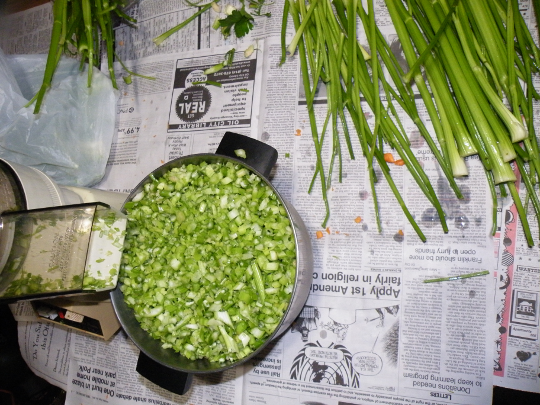 After cleaning each of the stalks of celery and removing the leaves, we used a food processor to chop the stalks into small pieces. These will be useful in soups or as an additive to tuna fish. 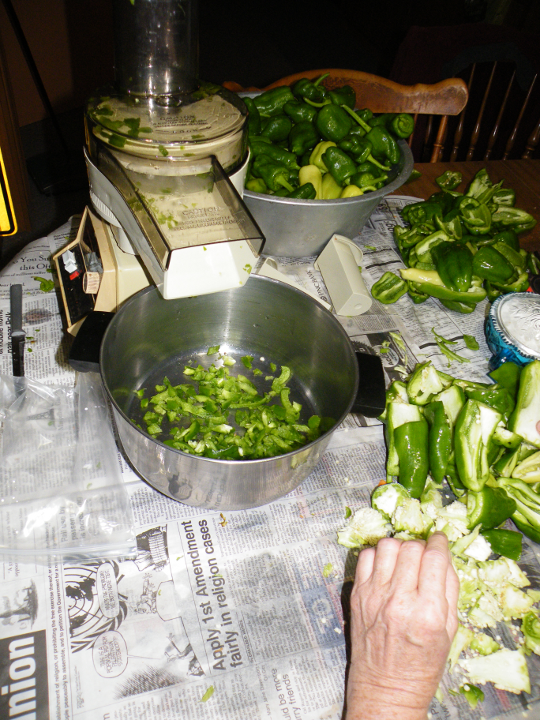 After plowing through the celery, we moved onto the peppers which require a bit more attention. First the tops are removed, then the pepper is sliced down the center vertically. Next all of the seeds are removed. 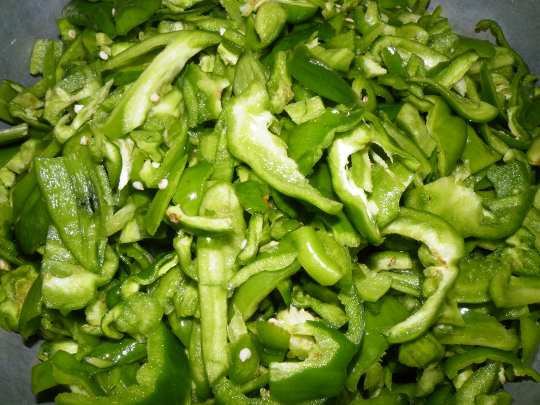 At this point, the pepper halves are feed into the food processor which spits out evenly chopped slices. Slicing these peppers by hand would have taken far too much time, but with the chopper things moved along pretty quickly. The food processor has a good assortment of blades, but one in particular worked very well on the peppers, leaving the perfect size chunks for soups, salads, or fried peppers. 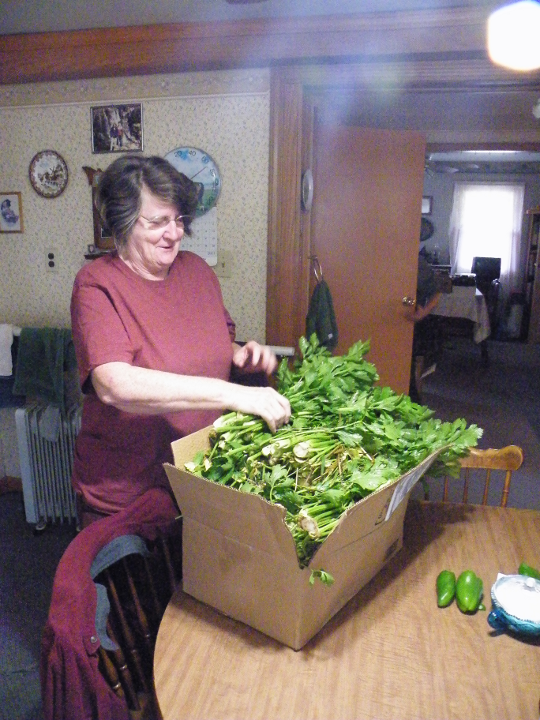 When we all got sick of processing veggies we cleaned up our mess, and packed the celery and peppers in boxes. These will help greatly to organize a freezer that is about full 0f veggies from the garden. 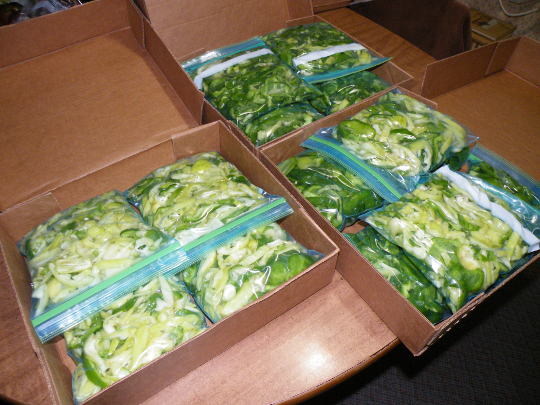 We finished up Saturday, and before calling it a day, we weighted the processed peppers and celery. I was pretty surprised to find we had 34 pounds of veggies ! 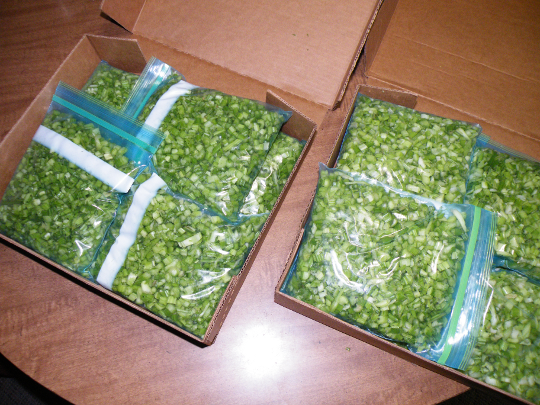 The next day we finished off the remaining peppers filling an additional box. 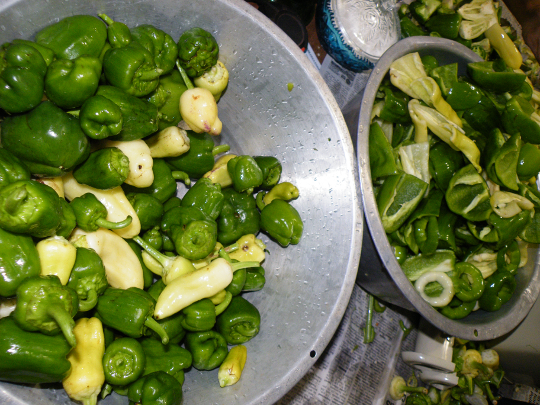 This bounty was provided with 36 celery plants and about 100 pepper plants. Next years garden will probably contain fewer celery plants, but about the same number of peppers, perhaps a few more. Now we just need to survive picking and processing apples and it will be time for some cool weather veggies.